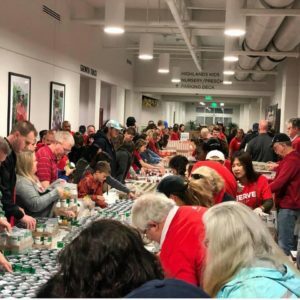 Imagine a Thanksgiving day without food. TRY. So many of us take food for granted, but it is so much more than fuel for our bodies. A good meal brings family and friends together and allows for a platform to discuss everything from the mundane to the serious. Meals can serve as vehicle to promote community and bring about togetherness. 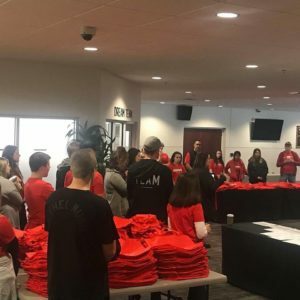 GKC and Church of the Highlands, Grandview Campus, understand this, and therefore decided to give back to one of the groups that gives the most: single-mothers. Normally, GKC serves about three hundred families every month with our monthly food box deliveries. This November, however, GKC partnered with Church of the Highlands Grandview to further extend our impact. 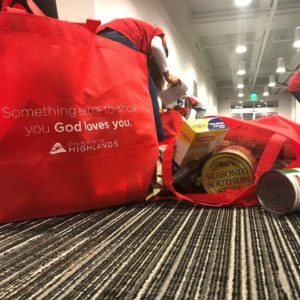 In addition to the families and individuals we normally serve, Church of the Highlands Grandview added nearly one-hundred other single-mother families living in and around Birmingham. In speaking with many of the single-mothers, their appreciation and excitement was palpable. It was a honor to help bless these strong women by providing their families with fresh produce, non perishables, flowers, and a turkey this Thanksgiving. All of this sharing was made possible through the partnership with Church of the Highlands Grandview. Church of the Highlands has provided Grace Klein Community with countless hours of service, dedication, and support. We are honored to receive their love and Jesus partnership. 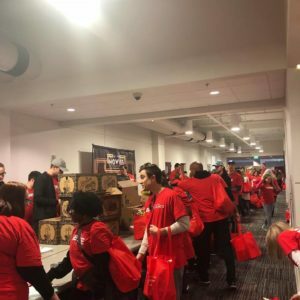 All the volunteers who come from Church of the Highlands Grandview have an air of positivity and godliness that permeate any task they perform. They give fully and love warmly. Thank you, Church of the Highlands Grandview. 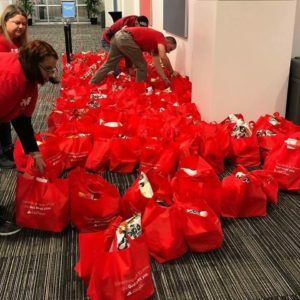 Finally, to summarize GKC’s gratitude for November, this past food box delivery prep day was one of the smoothest to date! Sure, there was a healthy dose of chaos, but that is simply par for the course. One thing that made this prep day especially sweet was all the children! 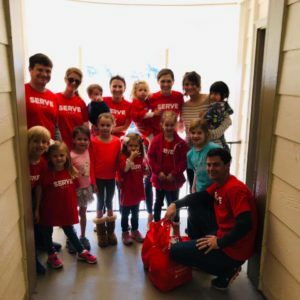 Normally, prep day is an event for teens and adults, but this month there were so many pre-k kiddos coming to lift a helping hand. Despite the hustle and bustle of the day, the light of God was able to shine through the acts of a toddler who helped put spice jars in the food boxes in between his snacks. So now, let us all take a moment to remember why we are here together–what has brought us to GKC?! Is it a sense of duty? A sense of purpose? Or maybe we finally found the type of community we have been needing for a long time. In any case, this is the season to remember what (or who) fills us, and how we can pay our appreciation forward.